It seems there is no stopping the American invasion. It's been a juggernaut since last year where parts of the London restaurant scene are starting to resemble New York, from Wolfgang Puck (Cut) and Serge Becker (La Bodega Negra) who opened last year to Keith McNally (Balthazar) and Brendan Sodikoff of the Electric Diner who have been more recent additions. Whisper it, we still have David Meyer and his Shake Shack looming over Covent Garden in the very near future. 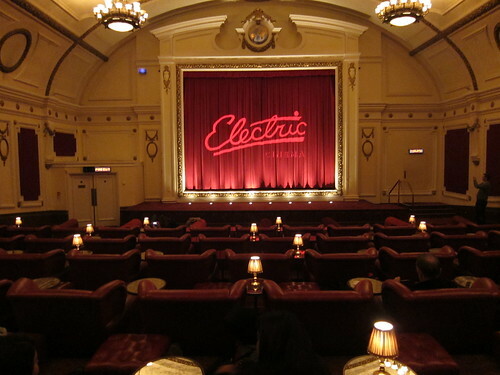 The Electric "Complex" (let's call it) comprises of the cinema, the diner, the members bar and the little doughnut shop which sits in the cinema lobby. Affected by a fire in June 2012, it took another six months before it was restored and revamped. 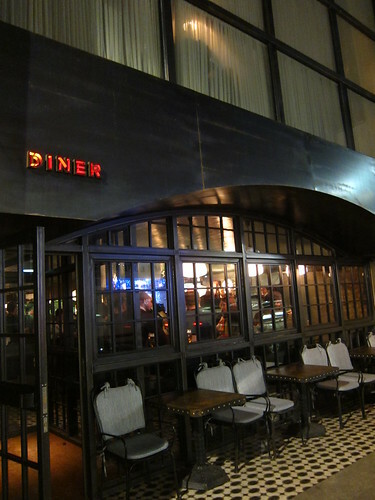 The Diner itself, with Sodikoff brought in to consult, started to serve tarted up American Diner food. Think sandwiches (which basically covers everything which involves bread), things served with eggs and a variety of other things cooked on their grill. 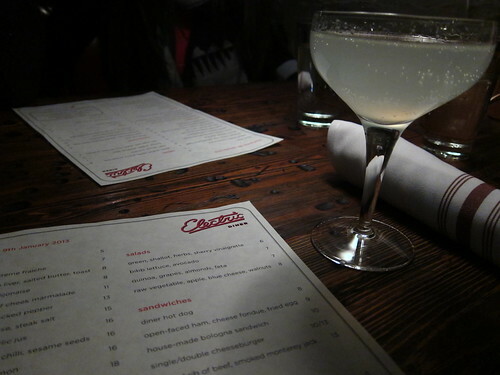 We ordered a lot, which seems to be the case whenever I am involved. 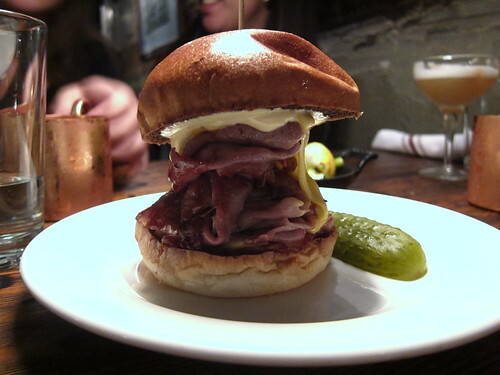 From the 'sandwiches' section, the bologna sandwich, a towering testament to slices of meat on bread. It came highly recommended and whilst enjoyable, I couldn't help but think that I would have rather tried one of their signature single/double burgers. Much better was the duck hash from the 'egg' side of the menu. 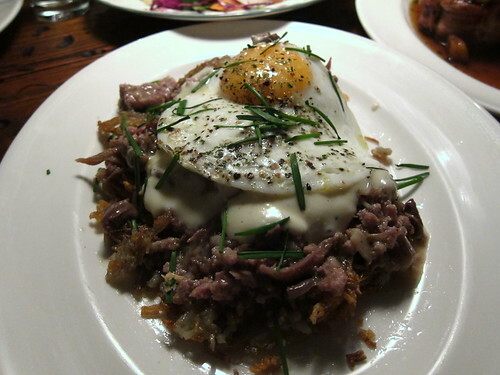 Crispy potato hash topped with shredded duck confit and a sunny side up fried duck egg. With the Americanised 'gravy' on top (more of a ducky bechamel), the whole ensemble is extremely rich but just drags you back. The dishes from the grill were kind of ridiculous. 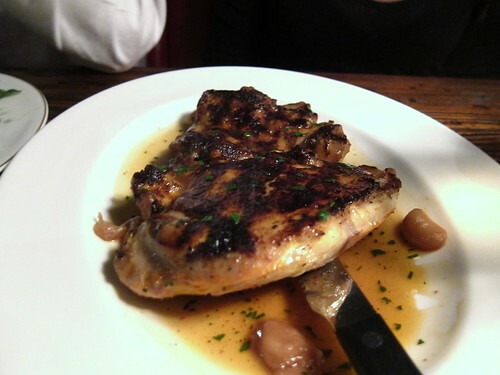 Best of all was the flat iron chicken, a huge hunk of flattened out chicken cooked on the smoking hot flat iron. Cooked perfectly even throughout and lubricated with garlic jus, this was one of the most addictive pieces of chicken I have ever eaten. I mean, just look at it. I wish I had something to sit alongside it to show quite how large it was. The flavour of the pork was spot on, the slow roasted apples the perfect accompaniment, although my only qualm was how tough the overall turned out. It's not easy cooking a piece of meat like that to order, and the outcome was a slightly chewy piece of meat. 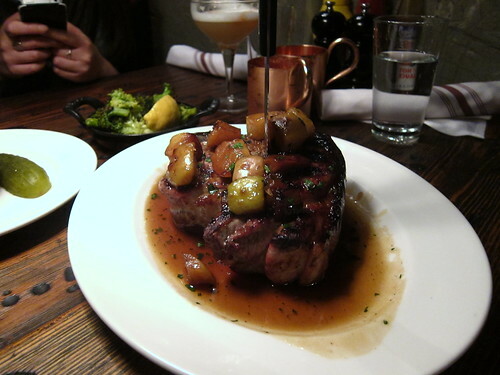 Still, no major complaints, it was another enjoyable dish. Despite ordering a few other dishes (a salad and a side of crisp bacon), we tried a few desserts too. 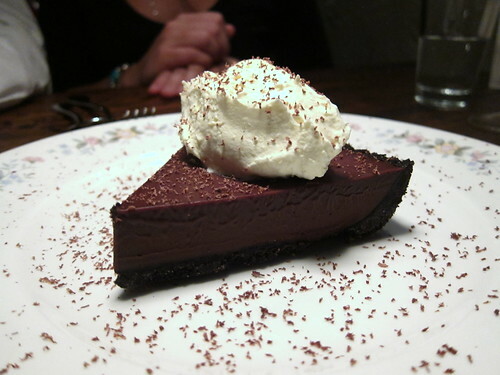 A chocolate pie was nice enough, but the coconut pie was just fantastic. A berry compote with lemon curd was enjoyable, a classic combination of sweet and sour, and I can't resist ordering a root beer float if it's on the menu, even if it was listed as a dessert and not just a drink (there was a lot of ice cream). Sadly, there were none of their well praised doughnuts available, but at this stage, even the faint whisper of any food turned my stomach. We were shown around the rest of the complex, from a glimpse of the bar to the impressive Electric cinema. The Electric Diner is far from perfect, but theres's no denying that it's a good eat and you're not going to leave hungry. I for one salute the American influx. London was slightly lacking in these middle of the road places to eat, and places like the Electric Diner fit into that middle space nicely with cocktails and good comfort food. Well worth a visit, and why don't you catch a film in probably the most beautiful cinema I have seen for afters.